According to tradition, the church was built in the thirteenth century, at the behest of a crusader returning from the Holy Land. According to another legend, the church was built on a refuge belonging to the order of the Templars. 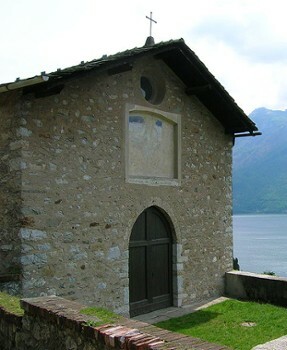 Positioned on a hill above the lake, on the ancient coast road called "Sentiero del Viandante" (the Wayfarer’s Path), the church was built in the High Middle Age. It seems to be a small roman temple due to the ruins of a semicircular apse, while the ceiling dates back to the 13th century. The Moto Guzzi Museum is located in Mandello del lario, Lake Como, the original birth place of the Moto Guzzi Eagle motorcycle established in 1921. 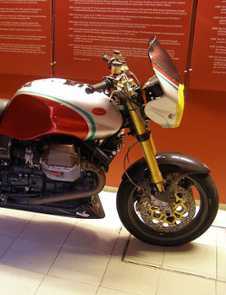 See many other models representing milestones in the history of Italian motorcycling. Complete the museum tour in the section "THE SOUND OF PASSION", where films of the incredible history of Moto Guzzi are screened. The building hosts an astonishing series of frescoes on the walls, on the triumphal arch and on the lower part of the presbytery: dating back to 1475-1485. 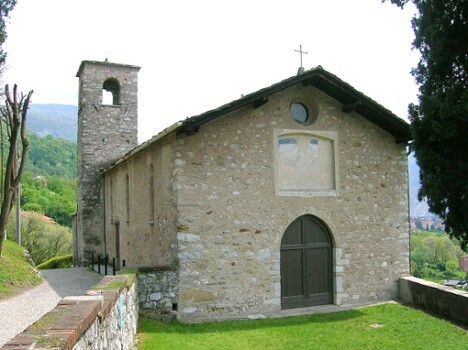 In 1570 the historian Paolo Giovio published "Larii lacus vulgar Comensis descriptio", in which he spoke extensively of the church of San Giorgio mail to the east of Mandello. Between the seventeenth and nineteenth centuries the church housed the tomb common fractions Maggiana Lombrino and Crebbio. There never was found an explanation for the presence of a step, at one half of the church, that edged up about 10 centimeters. Was it for ancient liturgical reasons or to avoid flooding, because the churchyard is gently sloping? The church of San Giorgio, a single hall with beamed ceiling beams and quadrangular apse with vault, owes its present appearance to restoration, begun in XIV century, a building that already existed in the eleventh century. Of the original building is preserved stoup adorned with a crossed design geometric-floral (widespread in Como between the sixth and the eleventh century) on the front and on the sides by a relief (not very pronounced) depicting a cross. 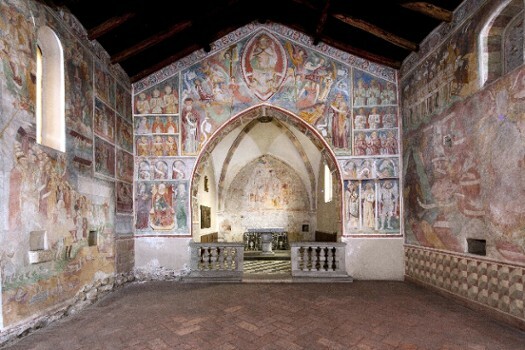 The main interest of the building is given by the paintings that adorn the walls of the nave; there are numerous votive frescoes dating all the fifteenth century; The Crucifixion of the presbytery is the end of the fifteenth century; eschatological cycle, according to some scholars, shows links with the pictorial tradition Ligurian-Piedmont, while others are closer to the local tradition, and is placed to the eighties of the fifteenth century. Today, in the church of San Giorgio celebrates the feast of the patron on 23 April. For several years the Pro Loco of Mandello, in collaboration with the cultural association The Amiis of Dialett, strives to help the parish of Crebbio in the celebration of the same party. The same Pro Loco is available for free guided tours of the church, in the period from April to October. In addition, the church is required especially for the celebration of some religious marriages. 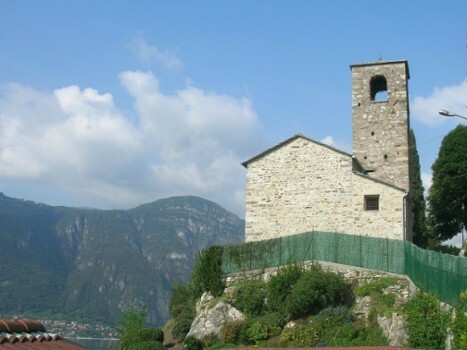 Lake Como's rich history of church building goes back many centuries. Their storied past includes miracles, political intrigue and competition for parishioner loyalty. Nearby Things to Do include: Hikes & Walks such as Sentiero del fiume and Cenghen per la Val Monastero; Towns such as Dervio and Cernobbio; Water Activities such as Lido di Abbadia Lariana and Lido Mandello del Lario; Spas such as Albergo Sala Spa; Museums such as Moto Guzzi Motorcycle Museum and Silk Museum Abbadia Lariana; Churches such as Santuario della Beata Vergine del Fiume and Il Santuario Madonna del Ghisallo.